Successful entrepreneur Charlie Lewis is a kingdom man, and it doesn't take long to realize it. 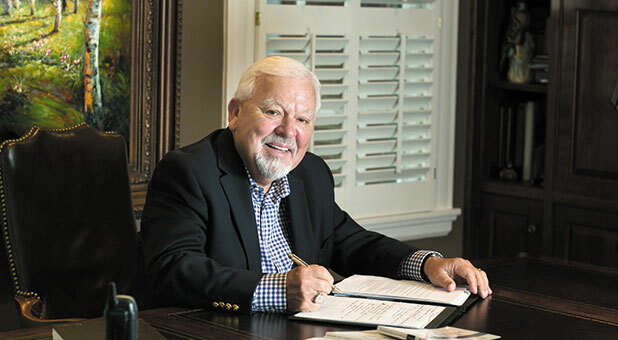 Not only do two of his businesses use the word in their names—Kingdom Insurance Group and Kingdom Aviation Group—but the Thomasville, Georgia, office from which he and his family work is called the Kingdom Deployment Center. Lewis learned what the kingdom of God means and how it can change the everyday life of a believer, and now he has set out to share with others this profound revelatory knowledge. But he didn't learn the importance of God's kingdom in church. He learned it by talking to God about a tough time in his business. "This is a game-changer," Lewis said in his conversation with the Lord. "I've been out here trying to make all these things happen on my own. You're telling me that when You came to the earth as Jesus Christ, You delivered the kingdom and gave us access to it, and I can call heaven to earth to work on my behalf in business and my family and every area of my life?" "Yes, that's what it is," God told him. With this knowledge, Lewis set out to study the kingdom in the Word of God just as he did other concepts he wanted to learn about for his business. The kingdom became the framework from which both his business and his family prospered. "The kingdom of God is the government of heaven, and God brought it to the earth as Jesus Christ and gave humanity access to it so we could live a successful life in time and for our eternity," he said. Believers are called to "seek first the kingdom of God and His righteousness," or "His way of doing and being right," said Lewis, explaining Matthew 6:33. He emphasizes the fact that kingdom living is tied to one's relationship with God, not to religion. Lewis has observed this is a mystery to most people. "When you become born again, you enter the kingdom of God, and you become a citizen of the kingdom," he said. "As a citizen, you have rights and responsibilities and privileges that come with that, but the difficulty is most people don't know it. They don't know what that means, and they don't know how to engage it for themselves. They hear 'the kingdom of God' and automatically think religion, and it has nothing to do with religion." This kingdom mentality made a significant difference in Lewis' profits at a time when the economy wasn't exactly humming. God changed the way he worked, and it showed in a new area of business. "Within two years, we were the lead company," Lewis said of finding his insurance company's competitive advantage in the marketplace. "God would tell us how to be successful no matter what the economies of the world were doing," he added. Lewis' family owns multiple business entities. The oldest and most profitable among them, Kingdom Insurance Group, works with more than 25,000 insurance agents and has representatives in every state. But Lewis puts more stock in being a family man than a businessman. His website, charlielewis.net, describes him as an entrepreneur, author, teacher and speaker. But he says his most important roles are husband, father and grandfather. Lewis' family values, which come from his heritage and faith, help his business too. It's one of the ways his life is strikingly different than his worldly counterparts. In fact, his family and work are inextricably linked. "Both of our sons and their wives actually run our businesses now," Lewis said. "All of their lives, from the time of birth, every day, all of the grandkids and the family got together for lunch. We all have lunch together every day and still do. That's created a bond that really is something special." Naturally, work and school activities make it difficult for the whole clan to be there every day, but the family still makes a significant effort to gather for the midday meal. "We travel constantly, so everybody can't be here, but more than 95 percent of the time, whoever is here gets together, and that has been a real strong asset," Lewis said. The entrepreneur also opens lunchtime to businesspeople who are visiting the family's Georgia headquarters. "We would have people from major companies around the world visit our offices and spend time with us," he said. "When we got together at lunch, they were blown away. I've had so many people say, 'I really wish I could do that.' I don't say anything unless asked, but nothing happens until you direct the action. That didn't just happen. We made the choices and took the steps that made that happen for us. And people would come, and the people who'd brought them who were our local reps said the first question that they always hear from them is 'Is that for real?'" Visitors always want to know how Lewis' family gets along so well and is so close. Those who invite the visitors tell them, "It's a choice they made because of their relationship with God." People notice the impact of the family's choices. "They recognize the Spirit of God who is working in our lives," Lewis said. Lewis and his wife, Fran, have been married more than 49 years and have grown their relationship as a couple and with the family in light of their faith in Christ. "It wasn't that we were so smart or knew how to do it better than anyone else," Lewis said. "But we made the decision that when we got married, that in all of our decisions, and particularly something where there was disagreement, it would never be what I wanted or what the others wanted, it would always be what God says. So if there's a disagreement, we would go to Scripture and say, 'What does God say about this? Not only what does He say, but what spirit is working in us? Is it a right spirit, about doing what's right, or is it about doing what we want to be done?' We have been able all these years to fall back on that position and not allow Satan to get into our relationships. We're very close. We're together all the time." The couple's two sons and their wives—Zachary and Leah, and Nicholas and Jennifer—play a significant part in the family's business operations. "We all work together and have unique and individual areas of responsibility," Lewis said. All those skills are needed in their multiple enterprises, which range from insurance to aviation to jewelry stores to a family farm and more. "If you're not an entrepreneur, you won't fit in our family," Lewis said. "God's called us to the mountain of business, and that's where we serve." Although he aspired to head to medical school and become a physician, Lewis started out in furniture. "My family had furniture stores and manufacturing businesses in Florida when I got drafted and went into the service," he said. "I became a pilot and went to Vietnam. When I came back, I was at Fort Jackson, South Carolina, as a company commander, and the Lord basically spoke to me and told me that my Dad was going to want to get out of the business, and he would need me to come run the business. So that's exactly what happened." Other men later encouraged Lewis to shift to insurance. "I actually had a couple of men who came to me and asked me to help them develop an agency," he said. "And I had a pastor who came to me who said it was a particularly tight time in the economy, and that there were people in our community and in our church who needed a job, and 'I believe the Lord would have you start an insurance business.'" Lewis said he "wasn't real sure about [the pastor's] word" because the insurance business had never appealed to him. "I was the businessman all the insurance guys came to see and tried to sell insurance to," he said. "I wasn't real keen on getting into that business. But as it worked out, it was a segment of the business that was different than that, and it's done amazingly well for us." The insurance business has done well indeed—in revenue and relationships. "It's a national distribution organization for many of the major carriers in the world where we go out and hire and train and qualify representatives to represent the companies, then we give them a lot of the benefits," Lewis said. "As one of the major CEOs said, 'You do things different.' And I said, 'Really? How?' He said, 'When most people hire somebody in this business or any other, they say, "What can you do for me?" That's how they develop their business. But you don't do that. You say, "How can I help you? What can I do for you that will make you successful?" So you pursue the relationship from that position of basically being a servant, someone who can help others.' I said, 'Well, if they're successful, we'll be successful.'" With that approach, the Lewis family has found continuing success in different types of business. This success is one factor that led to the creation of Kingdom Aviation Group, through which they provide their own air transportation. "Fran and I have been in more than 60 countries in the last five years where we had an invitation to come and speak," Lewis said. They've also succeeded in jewelry retail and manufacturing. A graduate gemologist, Lewis' wife, Fran, custom-designs jewelry, including updating older pieces that may have been inherited and creating pieces for people with special needs. With Fran's talent and the family's favor, the business has expanded in recent years. "A few years ago, when things got so tough, some of the people who we did business with, who liked our family and knew our reputation, called us," Lewis said. "The first company we dealt with was an international company from Europe. We opened seven of those stores, and then another company came to Fran, and she opened seven stores of their brand." The family still has its original Lewis Jewelers & More location in Thomasville, but, Lewis said, they now own 15 jewelry stores "from Texas to Alabama to Colorado to Georgia to Florida." Writing books (Kingdom System series) and speaking on kingdom values have become a significant part of Lewis' life and mission. Not only does he travel across the U.S. and around the world, but he also teaches via video through his Georgia studio and hosts a weekly national television program, The Kingdom System: A Pattern for Guaranteed Success. One of the themes of Lewis' talks is how every believer can live successfully according to God's design in His kingdom. 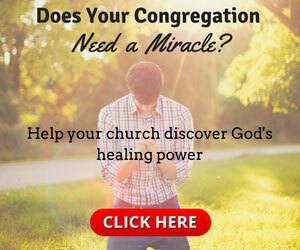 "We teach people, 'You see, God wants you deployed to some particular area that He's designed you for,' so we teach about the kingdom system, about the 'kingdomnomics' of how it works through the conduct and behavior of your choices and then that you have to be deployed to be fulfilled and satisfied," he said. "We teach you how to go into those different areas and have an impact for the kingdom." He has seen people change professions midstream because they believe they are not in alignment with the way God made them. One attorney became an auctioneer, a homemaker wrote a book, and a physician became a missionary. "The Lord said, 'I knew you before I formed you' and that He created and developed us in our mother's womb, and that comes with a purpose," Lewis said. "He gives us gifts, talents, anointings, callings and favor to operate in a particular sphere of influence to impact that area. ... When we're born, we spend the first 20 or so years of our lives being educated for employment. Employment has to do with income, and it's all temporary. God didn't call us to employment; He called us to deployment. He's more concerned about our outcome than our income." In his teaching, Lewis asks people if they feel they have been "mis-purposed" in life and then asks God to help them understand His design for their lives. "You have to know what God has designed you to do," he said. "God designed me for two things. He designed me to operate and present the face, the will and the plan of God for His kingdom in business; and He has called me to teach kingdom, so people will know what it is and how to become involved in it." For Lewis, teaching kingdom principles is primary. He believes understanding the kingdom will change the Christian personally, the church corporately, the culture at large and humanity as a whole. Lewis isn't afraid to think big. "The church has done a good job getting people to believe, but not so good a job teaching them to live in the authority of a kingdom-first relationship," he said. "We really want to change that. A person wrote many years ago, 'I'm tired of being stirred but not being changed.' We want to see humanity changed to be the citizens of the kingdom of the true and the living God, where the power and authority and dominion flow through them and where humanity's needs are met. "In one of the Scriptures where Jesus was talking, He talked about [the fact that the people] were like sheep without a shepherd. He said He looked at the people with compassion and was moved in His Spirit because their challenges were many, and they didn't know where to get help. The kingdom is where the help is. I want to teach people that." Lewis is calling all believers to be kingdom citizens. "When God Himself came to the earth as Jesus Christ, He delivered His kingdom, and His kingdom is His government," he said. He's also writing a book on what kingdom success means for the kingdom citizen. "Success is knowing who you are, where you came from, why you are here, how you're supposed to live and do while you're here and what happens to you immediately when your body dies and your spirit leaves your body—because success cannot be measured by money or by anything that money can buy," he said. "We are an eternal spirit that lives in a body, and we're managed by our mind. For us to be successful, we have to live life from the perspective of eternity because we came from eternity without time and are here only temporarily." Everyone will return to eternity without time, Lewis reminds his students. "This period while we're in time is so brief it's like a nanosecond," Lewis said. "It is so short, and yet we spend all of our time [focused on earthly things]—because we're so inundated by the systems of the world—that we never consider the perspective of eternity. In reality, eternity is who we are. Our God is eternal, His kingdom is eternal, His Word is eternal, and we are eternal." Christine D. Johnson is editor of Charisma Leader magazine. She invites your comments on this debut issue at chris.johnson@charismamedia.com.